Note: Much of this summary was drawn from, or inspired by, a summary drafted by Claudia Stromberg & Kristin Zickenheiner, which appeared (in German) in Verhaltenstherapie & Verhaltensmedizin, 2014, 35 (3), 291-293, Pabst Science Publishers. Summary: The 6th Conference of the International Society of Schema Therapy (ISST) was held under the motto "Schema Therapy: More than the Sum of its Parts" at the Asker Military Museum in Istanbul. 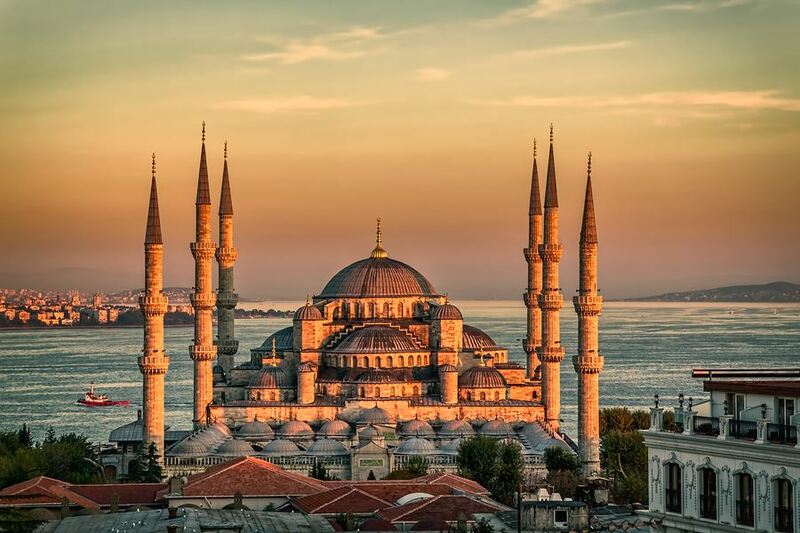 Istanbul’s cultural diversity and its historical and current function as a bridge between East and West proved to be a wonderful setting for a conference devoted to schema therapy (ST), which itself builds bridges between different therapeutic approaches. More than 400 enthusiastic schema therapists and scientists attended the meeting. Arnoud Arntz presented a keynote address highlighting the recently published results (for example, Bamelis et al., 2014) documenting the effectiveness of schema therapy, even when compared against other well-established treatment approaches. The exciting findings from the Bamelis et al. study show high remission rates in six personality disorders (apart from borderline personality disorder), and suggests that the treatment leads to significant gains in quality of life, life satisfaction, and social embeddedness. Moreover, the treatment incurs lower societal costs (e.g., assessed using the patients’ return to working life). In his address, Arntz also discussed ongoing work comparing ST to other evidence-based approaches for the treatment of BPD (namely Dialectical Behavioral Therapy, Mentalization Based Therapy, and Transference Focused Therapy; Arntz & Jacob, in prep.). Initial results suggest that the patients receiving ST are showing the lowest dropout rates. Finally, Arntz spoke of ongoing dismantling work, which explores the unique contributions of specific elements within the ST model (e.g., mode work, therapeutic relationship, etc). Several of the conference symposia and workshops were devoted to the application of ST in complex Axis I disorders, including chronic depression, eating disorders, and addictions. It was exciting to hear of a growing evidence base for the effectiveness of ST in these diverse patient populations. These were complemented by in-conference workshops illustrating such work. The development of ST for forensic settings received considerable attention (in workshops, talks, and updates by David Bernstein, Truus Kersten, and their colleagues from the Netherlands, as well as by Rachel Worthington from the UK). Initial results from the Dutch RCT were reviewed, and were met with great enthusiasm; the final results should be ready in the upcoming year. Meanwhile, ST for forensic patients has become the first treatment to receive the official Netherlands Erkenningscommissie approval as an evidence-based approach. Congratulations to David and the team! The expansion of ST into treatment modalities (including groups, couples, and teams) and for different age groups (and in particular, for children and adolescents) was also on display in several inspiring talks and workshops. The most joyous of these, of course, was the large-scale demonstration in Ida Shaw and Joan Farrell’s keynote address, of some techniques from their emotionally-supportive and highly validating group work. Similarly, Christof Loose and Maria Galimzyanova clearly illustrated how they adapt ST ideas and practices so that they can be given in age-appropriate ways. Additional research updates on ST took many forms at the conference. Marleen Rijkeober gave a keynote address focused on empirical findings related to schemas, coping styles and modes; several talks and symposia brought news of innovations ranging from online applications that support schema therapy (a talk by Gitta Jacob’ and her colleagues) to work linking schemas and modes to neurobiology (in a symposium by George Lockwood and others). As in previous ST conferences, we benefitted from inspiring visiting keynote speakers - Dan Siegel who spoke (live, via Skype) on his research on interpersonal neurobiology, and Chris Brewin, who presented work on trauma and identity, and in particular, on the development of a compartmentalized identity following horrific events. Finally, no schema therapy conference would be complete without a chance to hear from Jeffrey Young, the founder of the treatment approach. In a very personal keynote address, Jeff made an appeal to the assembled members to keep pushing the theory, and the therapy, further - not to rest on our laurels, as long as gaps remain between our model and the actual people whom it aims to serve.